There have been a few times recently when I’ve said myself “I really wish I could fix X, it has been a slight annoyance for a long time.” I stop for a moment and realize right there, just feet from where I am standing I find the solution. I already had what you needed to fix that slight annoyance, now look to see what other annoyances I have the tools to fix. Here’s my story. I wanted to bring my cell phone to my bedroom because I needed the alarm. I didn’t want to unplug the cord and bring it back, because it is in a good place. I realized I already have another charger so I pulled it out of the drawer that was RIGHT NEXT TO MY BED. What I needed was within feet of where I needed it. And it is just a matter of being just barely outside of consciousness. We might be just a little too busy or hurried. But by slowing down just a bit and analyzing the situation a solution was readily available. Looking at a long term chart (20 years) of the QQQs, it looks like 170 could be in the cards. Sometimes when you lose something (like a job) you might think it is the end of the world but it is really a new opportunity waiting for you in the wings. The difficult part is letting go of the fear enough to be open to those new opportunities. What we need to remember is simply that wherever we are right now is exactly where we are supposed to be. My birthday is April 15, 1971 making me an Aries. My personal motto that I use is I am that I am. 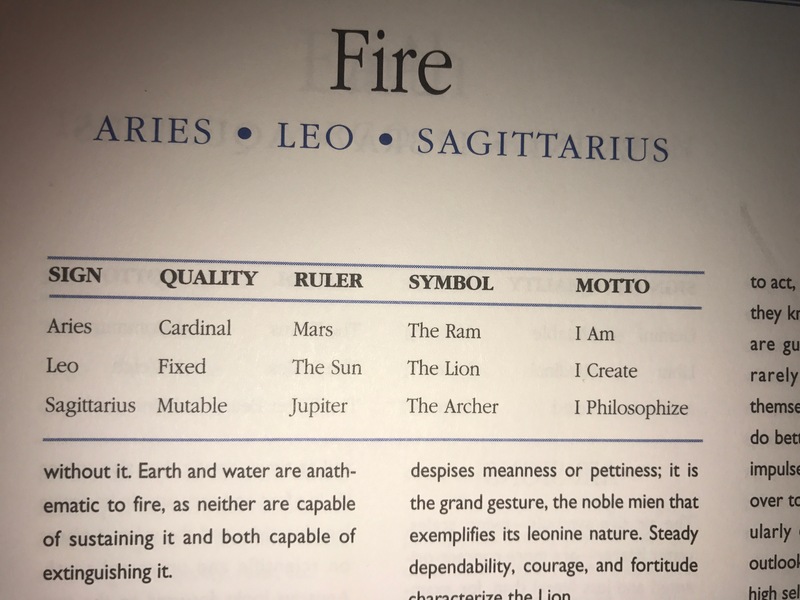 This chart says the Motto of Aries is I Am. Belief in yourself is the starting point. There are going to be people who don’t believe in you. People who don’t think you can do something. The trap we sometimes fall into is believing those people, and stop believing in ourselves. A close family friend reminded me growing up that my mother treated me like a Prince. She raised me to believe I could do anything I set my mind to. And I believed her, which developed a belief in myself. And it worked. Anything I set my mind to I was in fact able to accomplish. A discussion of Sacred Geometry by Kalamu Kieta as it relates to procreation. So as I suggested to others, I decided to sit and break bread with my friend Paul who is an ardent Trump supporter. I thought the discussion was going to get into weeds of what he believed and what I believed, and we’d need a team of fact checkers just to be able to agree on whether it was Monday or Tuesday. Anytime I’ve had to write a brief bio of myself, even if I will write more later, I always start “I am who I am.” The ultimate meaning of this phrase is what you see is what you get. In other words, the person is secure and knowledgeable enough about themselves that they are comfortable to be able to accept themselves for who they really are. The good bad and ugly as they say, which really none of it is good nor bad, nor ugly, it just is. I have been standing for the National Anthem but I fully understand and support Colin Kaepernick and others for kneeling. If the Nation isn’t going to stand up for what the flag represents, why should we stand for the flag? So I had an experience with my friend Paul who is an ardent Trump supporter which I’m not proud of. It was shortly after the incident in Charlottesville, VA. There was a free speech rally on the Commons in Boston. He had gone apparently and I heard him say something that really upset me. It created a visceral reaction in me.